The Soft Edge P30 barstool by Iskos Berlin is characterised by a rounded frame and organically-shaped seat. Its shape combines strong curves with extreme ease, creating a modern design with dynamic comfort. All edges of the ultra thin, softly shaped seat shell are bent away from the body, to optimise the comfort when sitting. 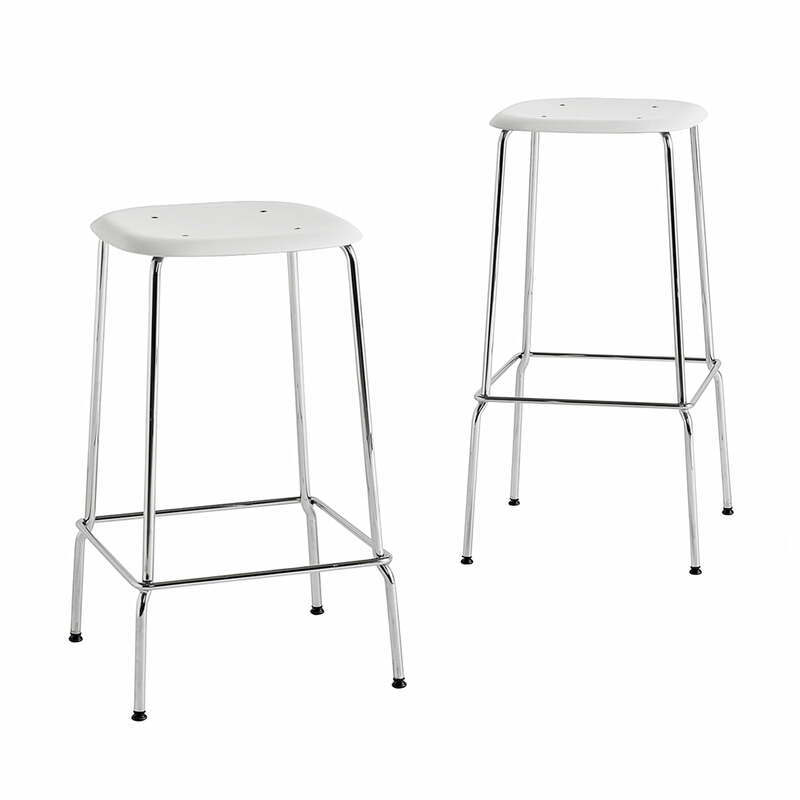 Its height of 65 or 75 cm is ideal for high tables in restaurants, bars and high kitchen counters. With its seat made from plastic available in various colours and long powder-coated or chrome-plated steel legs, the bar stool has a modern and light appearance with a versatile character. Both at home and in a traditional bar setting, the bar stool is a real eye-catcher on which seating comfort is at its highest. 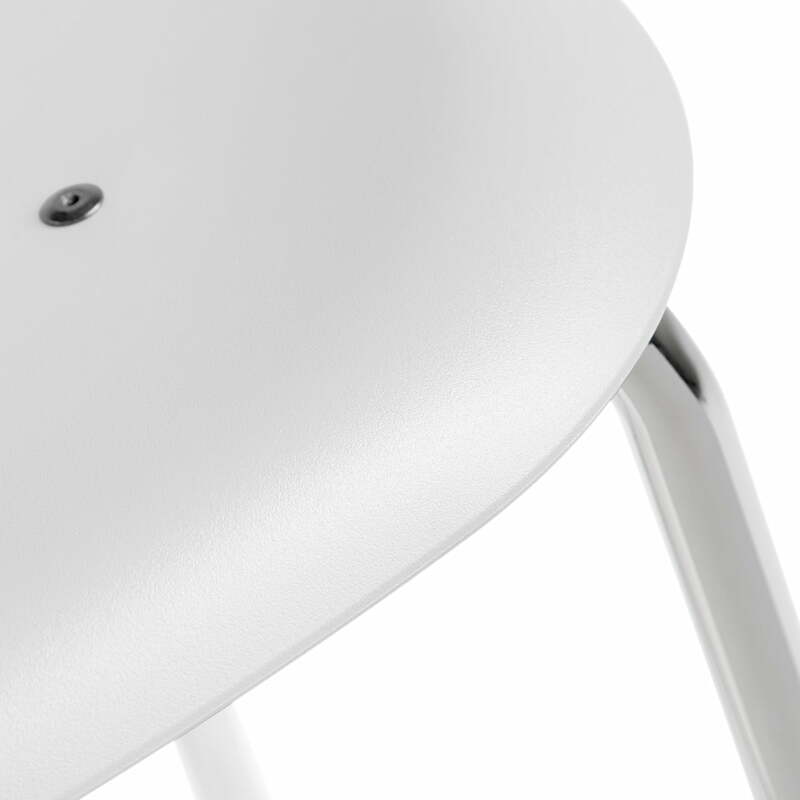 Isolated product image of the Soft Edge P30 Bar Stool by Hay: Its shape combines strong curves with extreme ease, creating a modern design with dynamic comfort. 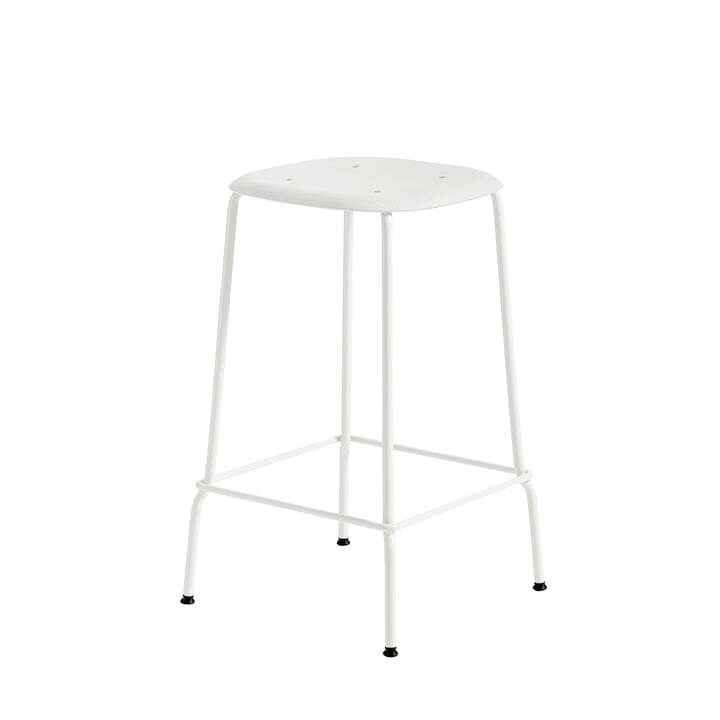 Isolated and group product image of the Soft Edge P30 bar stool by Iskos Berlin for Hay. It is characterised by a rounded frame and organically-shaped seat. Soft Edge P30 Bar Stool by Hay: All edges of the ultra thin, soft shaped seat shell are bent away from the body, to optimise the comfort when sitting.